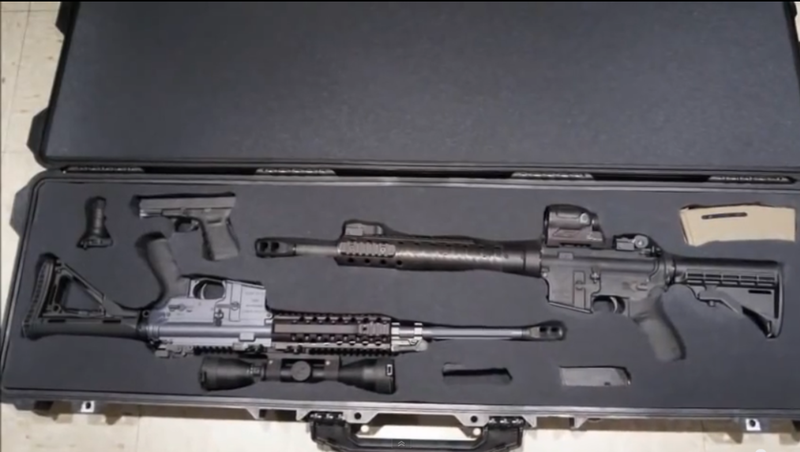 We’ll walk you through how to prepare and cut the foam in your new Pelican case to fit your rifles, handguns, magazines, and more. In our Best Cases For All Budgets article, we cover several of the most useful sizes of hard cases. Pelican has the reputation of being the best and it is all we use. Here are a couple of recommendations with their interior size. If in doubt, go one size up! Pelican 1200: 9.25 x 7.12 x 4.12 inches. Smallest that we would recommend but fits one pistol and a magazine or two. Pick N’Pluck foam. Pelican 1400: 11.81 x 8.87 x 5.18 inches. Can accommodate more magazines or even a second pistol. Pick N’Pluck foam. Pelican 1500: 17 x 11.43 x 6.12 inches. Can fit 4-5 pistols if stacked vertically. Pick N’Pluck foam. Pelican 1700: 35.75 x 13.50 x 5.25 inches. 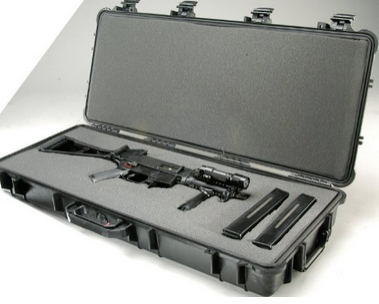 Smallest of the recommended rifle cases. 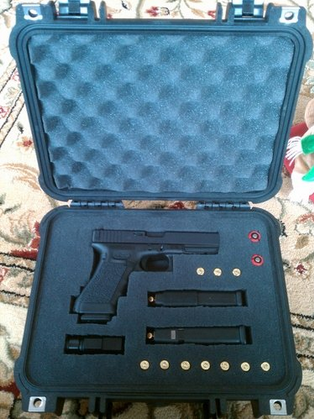 Can likely fit one short/collapsible rifle and accessories. Regular foam. Pelican 1720: 42.00 x 13.50 x 5.25 inches. 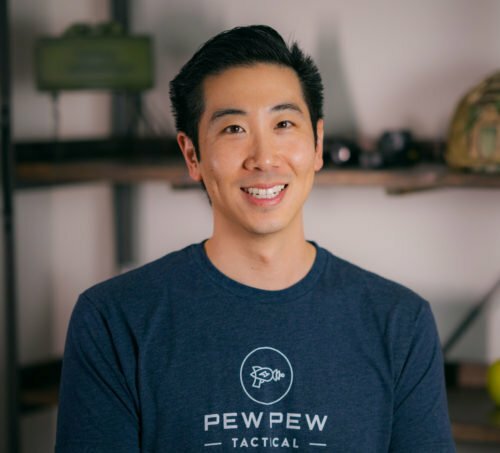 Recommended rifle case for a longer traditional rifle and accessories. Regular foam. Pelican 1750: 50.50 x 13.50 x 5.25 inches. Shown in video below. Can likely fit two rifles and accessories. Regular foam. 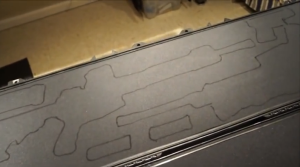 For the handgun cases listed above, you’ll see “Pick N’Pluck” foam which means the foam is already pre-scored so all you need to do is to roughly mark the outline with toothpicks and then pull the foam out. It doesn’t look as nice but gets the job done. If you’d like to follow our cutting method for the smaller cases, you can get replacement regular foam. Otherwise, the rifle cases come with regular foam which will need to be marked and cut with an electric carving knife for best results. Here’s a quick overview of what to do with the regular Pelican foam before a detailed video. Make your rifle as small as possible: fold sights down, collapse your stock, take off any harnesses, etc. Stage your rifles with the heavier rifles towards the wheels. Try to balance as much as possible so it is easier to roll later. Space things away from the sides at least 1 inch, especially when you are dealing with expensive optics. Recommendation is to use chalk to outline everything since it is easy to wipe away. Otherwise, marker is ok if you turn the foam over when you are done. Cut just inside of the mark or even 1/4″ so the foam is a snug fit after. Go 90 degrees, especially if you plan on flipping the foam over. If your knife has a dull tip, start the cut with a sharp knife. Keep your leftover pieces so you can fill up the foam and use as a solid layer. Skip to the 10 minute mark if you just want to see him cut the foam. I learned a trick cutting foam for camera equipment years ago that works the same here, if possible, freeze the foam (dry) before cutting. It make take a couple of freezes to get each part cutout done but it’s worth the effort. Ooh, thanks! That sounds like a great tip.